Garry Walton worked with the team at Cedar Communications to create this fantastic cover for BA Business Life. 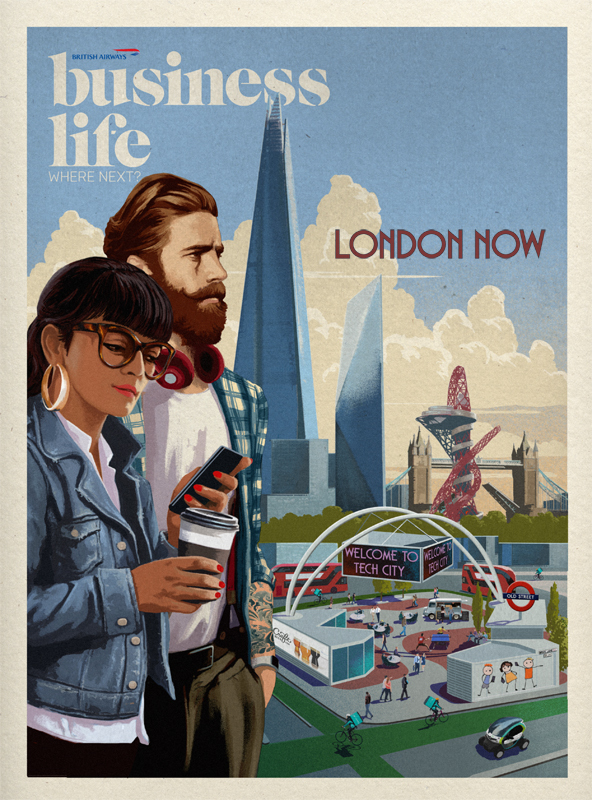 Garry’s artwork accompanied the magazine’s lead article on London’s tech scene. Garry captured the buzz surrounding the capital’s technology industry in this striking artwork. To see more Garry’s work, click here. Garry Walton Pastiche is represented by Meiklejohn. Published on 29 March 2017.